As befitting a giant in the field of industrial ideas, products and solutions, Atlas Copco New Zealand can, and regularly do, produce quality air compression and filtration systems for any and all industries that require them. From small-scale workshops to industrial-sized manufacturers, factories and plants, the versatility of Atlas Copco’s products and services are matched only by the resilience and longevity of their equipment. The air compressors supplied by Atlas Copco are used in a wide range of industries, including manufacturing, agriculture, construction. The kinetic energy provided by the compressed air provides power to all manner of equipment, including tyre pumps, pneumatic tools, gas cylinders, and much more. Compressed air is equally essential to many different forms of general equipment used across countless industries, powering conveyor belts and sprayers as well as tractors and irrigation systems. In a country abundant in industry and industriousness, Atlas Copco continues to lead the field in the supply and service of equipment to countless businesses throughout New Zealand. “Our focus when offering you an air compressor solution for your operation is the total cost of ownership,” says Brian Jack, CTS Aftermarket Sales of Atlas Copco’s Hamilton branch. 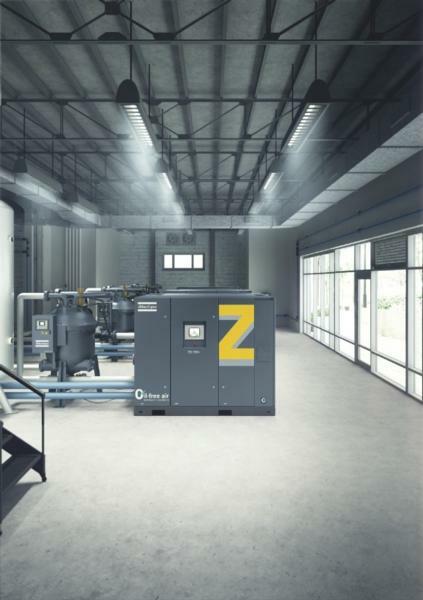 Atlas Copco also provides a state-of-the-art oil-free air compressor alternative, capable of delivering better-quality air without the need for oil lubrication. “When you require assurance that your air is completely oil-free, our certified Class 0, 100% oil-free air compressor will provide you peace of mind like no other option could,” Brian says. Atlas Copco pride themselves not only on providing and installing their indispensable equipment, but on servicing it long-term, ensuring their customers get the most our of their machinery and receive the best possible customer service. They are also on-hand with 24/7 service, able to provide planned contingencies and assist with unexpected emergencies. With service branches and locally-based air compressor service technicians located throughout New Zealand, help is never far away!